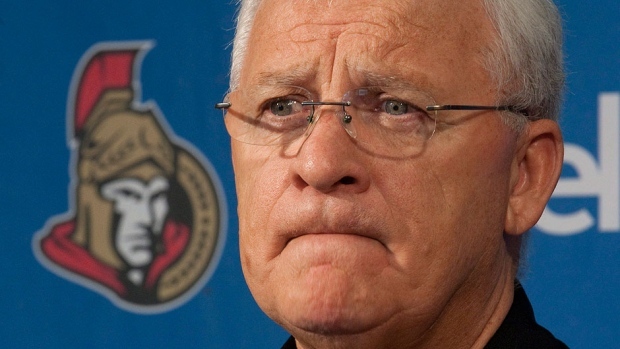 Bryan Murray made a head-scratchingly awful move today, signing discarded Toronto PTO Mark Fraser to a two-way deal so that he can be terrible for Binghamton (follow the link and look not just at his stats but his underlying analytics). There’s nothing about this move that makes any sense at all and Fraser is simply going to use up ice time better served by anyone else–commiserations to the fans in Binghamton who will be stuck watching him fumble about in his own end. Speaking of analytics, Joss Weissbock applies it to both Tobias Lindberg and Nick Paul where he talks among other things about Prospect Cohort Success as a method of predictive methods (interestingly, it includes height as a factor, but I’ll react fully to it below). He thinks Paul is most likely a fourth-line player who has a slight chance of being a top-six forward (he also seems to proscribe to the cult of Corey Pronman). As for Lindberg, he thinks he has greater potential of becoming a top-six forward, albeit the odds are still stronger that he’s a marginal player. I have a lot of problems with Weissbock’s method, which compares players of different eras without any sort of sophistication and includes one element (height) which I think is virtually irrelevant in the post-Dead Puck Era. It’s a surprisingly unsophisticated system, although given the lack of advanced data in junior leagues I suppose there’s not much choice (I applaud the effort, but not the specifics). 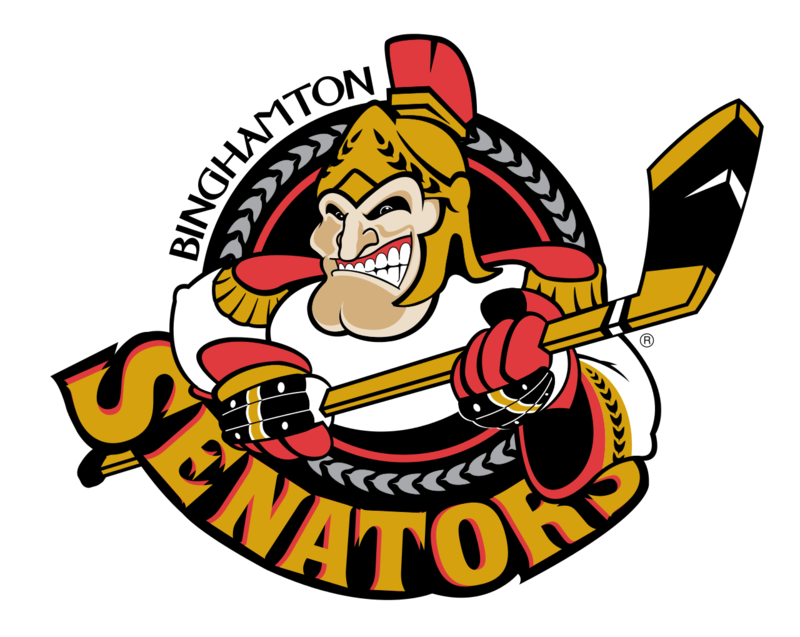 The Sens made a round of expected cuts sending the bulk of Binghamton players into Luke Richardson’s warm embrace (with the exception of Gabriel Gagne who went back to the QMJHL). Three of the players are on waivers and the only one I’d hate to lose is Cole Schneider (the others are David Dziurzynski and Patrick Mullen), even though there’s virtually no chance anyone will claim him. Nichols‘ offers his own early summary of the Wikstrand situation, including a couple of churlish comments by Bryan Murray that I agree come across as remarkably petty. 23. This is a liminal moment for my fandom. I don’t think I’m alone in that. The competing forces are seen in the competing forces of this piece. 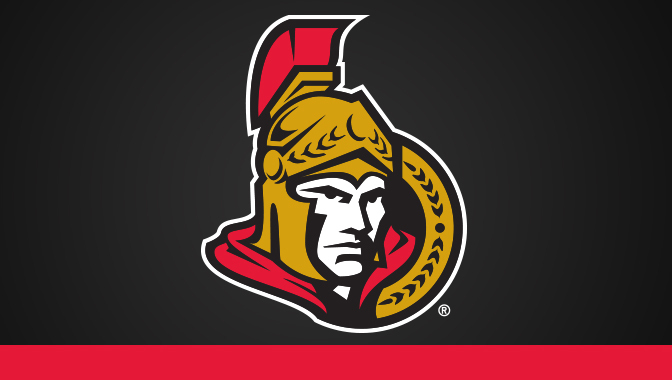 A new season is near and on the one side there’s jokes, concerns about my team, and questions about where the Sens fit when stacked against the competition. These are logical, acceptable, and typical things to be concerned about. It’s what fans are supposed to be preoccupied by. But then there’s the building storm, of disrespect and discrimination, of violence and sexual assault. It feels like this is going to get a whole lot worse before it gets better. But I can’t give up something I love right now and I won’t be made to go away or stop talking about it. There are many in the hockey community with a stronger resolve. This league with eventually, grudgingly, angrily submit and change. First of all, I appreciated the vocabulary. 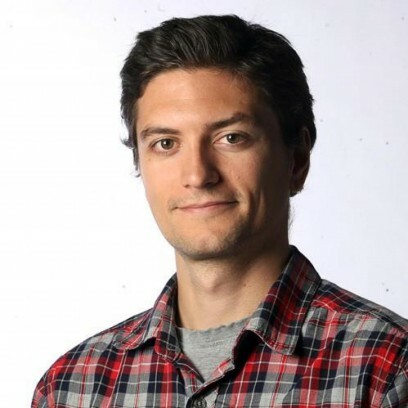 That aside, if Andrew thinks disrespect, discrimination, violence and sexual assault are worse in the NHL than they have been in the past then he needs to do a little research–it was much worse 10-30 years ago, although the fact that it was under reported or ignored makes that hard to appreciate. The NHL is an old, conservative, clunky organisation that has to be bludgeoned into modern sensibilities and just like any corporation it’s far more concerned with protecting its image than doing the right thing. For me it’s encouraging that the NHL is taking halting, plodding steps in the right direction (even if it’s just mouthing what’s expected)–of course I’d like the changes to be faster, but that’s simply not something I can expect (we still live in a world with the Washington Redskins after all). As long as the trend is positive I remain encouraged, although I understand how easy it is to give in to cynicism. 7. Sens fans often look at the organization’s glut of replacement level NHL defenders and NHL-ready blueliners as a negative thing. Mark Borowiecki, Jared Cowen, and Chris Phillips aren’t providing anything special at the NHL level and are blocking the way of potential NHL candidates like Chris Wideman, Mikael Wikstrand, and Fredrik Claesson. The trio represent a variety of skill sets and Wideman and Wikstrand appear to have the inside track, not the least because they possess different skills (read: puck moving) than the trio currently filling out Ottawa’s bottom pairing. However, this depth also insulates the team from making decisions that aren’t in their long term interest. Thomas Chabut has dazzled since hearing his name called in the first round in June. While his skating and offensive instincts are most noticeable, he looked great with Erik Karlsson in Ottawa’s pre-season opener. However, Ottawa’s depth means it’s likely a couple years before he’s seriously got a chance at cracking the Senators’ blueline. That’s not a bad thing at all. On the contrary, the list of defenseman Ottawa has rushed to the NHL recently includes Cody Ceci and Jared Cowen, illustrating that it doesn’t always work out. I can’t recall anyone outside of forums demanding that younger players be rushed (I certainly wouldn’t want Chabot inserted into the lineup). The argument is that the depth players on NHL-contracts are worse than players being sent to the AHL–so it’s a question of quality, not quantity. Last season the team made the pre-playoffs after moving up from the Allsvenskan and almost won in the process. It was a huge step considering the team made regular use of so many younger players, many of whom were NHL draft picks. This makes Djurgarden one of the most interesting teams in Europe for fans in North America to take note of. … Things are looking bright and many pundits around see this team finishing anywhere from 5th to 10th. The fact is, though, that if their go-to players continue to produce, then there is plenty of depth and young exuberance to have this team competing well into the spring. 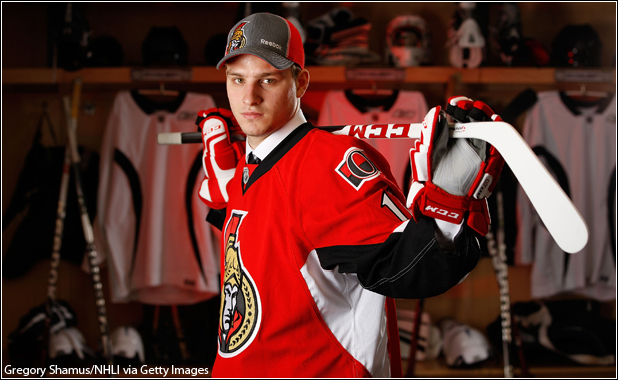 … The defense continues to be young and beaming with NHL draftees…. Englund with a whole SHL season under his belt, is ready for more responsibility, and he will be given just that. 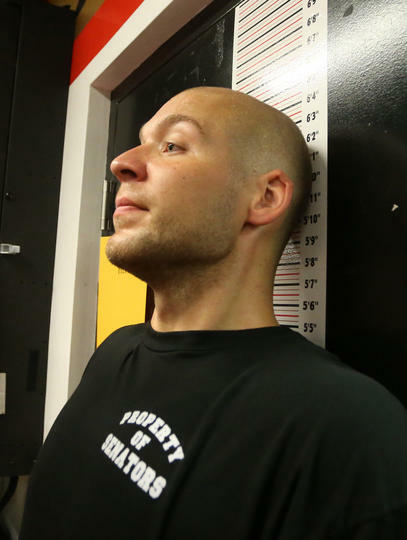 Englund is one of those big, physical defenseman the organisation is so fond of. He’s the second youngest defenseman on the blueline and the can spend one additional season in the SHL before the Sens have to make a decision on signing him or not. The team features a decent but underwhelming goaltending duo and a very young (albeit promising) blueline after a decent top four. There is lots of proven talent in the lineup, despite featuring many young, healthy legs. … Far too many of the teams key players played under their abilities for big parts of last season. 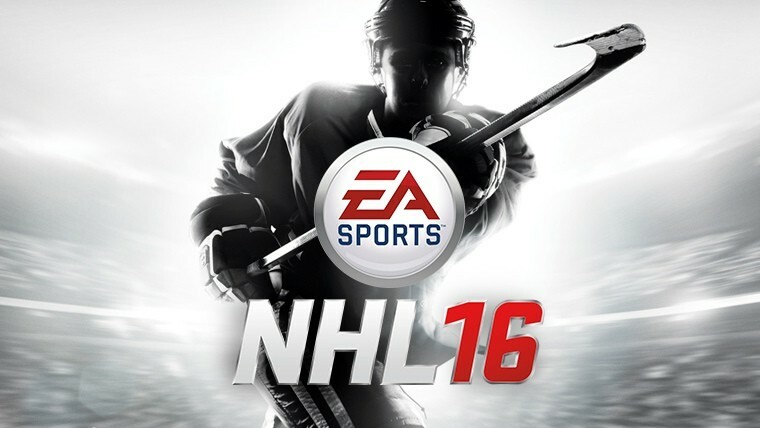 … Ahl has much to prove this season as there were plenty of ups and downs last season. At the moment, he appears to have a fourth-line role all set up for himself in 2015-16. Ahl is projected as a grinding power forward and is one of several young players vying for playing time on HV71 (including a pair of 17-year olds). He can spend another two seasons in the SHL and shouldn’t be expected to put up numbers this season–just being dressed is a positive sign for him. This club has added a new coach and a number of new players after losing three of its four top scorers last season. Featuring a whole bunch of youth on the blueline and a goaltending duo that could really stick out this season, there is hardly any doubt that this team should safely get into the playoffs and could then make some real noise once there. … There is a strong goaltending duo featuring young starter Marcus Hogberg, who many feel may top the list amongst Swedish goalies this year. … Also, the defensive unit is full of youngsters with NHL potential, but hardly a blueline in the SHL will be this young. … Hogberg is expected to be the starter. Hogberg was excellent last season until the playoffs rolled around. Many feel he is ready to dominate this season as a 20-year-old. Hogberg is a big, athletic goaltender playing out his final year of eligibility before the Sens have to decide to sign him or not (there’s no chance he won’t be signed). He’s competing for playing time with 30-year old David Rautio and I expect whoever is playing better will get the starts. I’ve been high on Hogberg for quite some time, but the fantasy scouting community has started to come around as well. How well he transitions to the North American game will be interesting to watch next year. Evansville traded for defenseman Andrew Himelson (DOB 1990 ECHL 50-6-10-16), a former NCAA grad who put up middling numbers at Clarkson who is entering his third pro season; they also re-signed forward Jordan Sims (DOB 1989 ECHL 24-2-4-6/SPHL 33-9-12-21), another former NCAA player (Connecticut) who is entering his second pro season and simply adds some depth. The Saga of Mikael Wikstrand continues as he’s flown back to Sweden, with the initial reports saying it was an effort to return to his club team, but he’s subsequently Tweeted that he has a very ill family member. Before that came out the Sens suspended him. Pierre McGuire, incidentally (and before the reason was given) didn’t think his departure would taint him for the organisation. This is a bizarre situation, although if the family emergency is serious enough I can’t blame him too much for not following normal procedure. Murray, incidentally (before the illness news came out), compared Wikstrand to the situation he had with Samuel Pahlsson during his days in Anaheim. Patrick [Wiercioch] had said to me earlier “if I could play 10 or 15 games without sitting out a game, you’d find out what I am.” And we did that and we found out what he is, and sometimes you’re happy the phone call didn’t come back to make the trade. I expect a good defensive defenseman. He’s 6 foot 5, he’s pretty mobile, he’s healthy now. He’s had a couple years of not very good health, hip, knee and different things. I think he’s behind the curve for his age group, but I expect he to play solid, be a matchup guy and move the puck. He doesn’t have to do anything offensively. He thinks he’s a more offensive guy than I think he is. When he buys the fact that he is what he is, big, strong and defensive, he’ll be a top four, No. 5 defenseman. Talk about lowered expectations! A #5 defenseman? 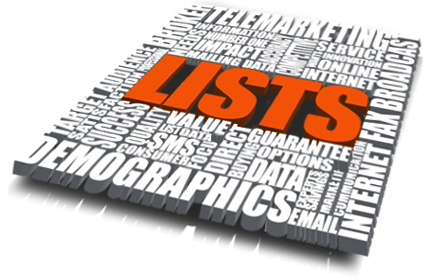 A top-ten pick maybe could fit into your bottom pair? For someone who tends to have tunnel vision over his favourites this is a stark admission and a bad sign for Cowen‘s future. The myopia Murray has is part of the reason he moved Eric Gryba (to open up playing time for Cowen), but if exhibition games are anything to go on he’s a long way removed from even being a depth player. He’s a waiver guy, we’ve got to give him a little bit of an inside track because of that. We do have a couple of other younger guys that look like they need some games, but could play, as fill, nothing else. But I think Wideman is the next guy (after Cowen and Borowiecki), yes. When we do have a problem, we can fill it with somebody internally. This is, I think, a reference to injuries and clearly does not impact his belief that he might need a top-six forward or another defenseman. Incidentally, Ary M looks at the Sens issues with observational bias in respect to Mike Hoffman and it’s well worth reading (it dovetails off things Nichols has discussed, but it reinforces the point). I watched Ottawa’s 5-2 win over Buffalo. Exhibition games don’t mean much of anything, but I have a few observations regardless: Jared Cowen was slow, out of position, and bad at moving the puck (Michaela Schreiter thought he was okay); Matt Puempel was utterly invisible except for his part in the Chaisson goal; Guillaume Lepine made a lot of bad decisions. Both goalies were good (O’Connor more so than Driedger), as were most of the prospects you’d expect to do well. Tobias Lindberg was pretty quiet, but he wasn’t bad. I was surprised by the play of Patrick Mullen, who looked pretty good (decisions with the puck and defensively), which runs contrary to what Binghamton fans witnessed last season. 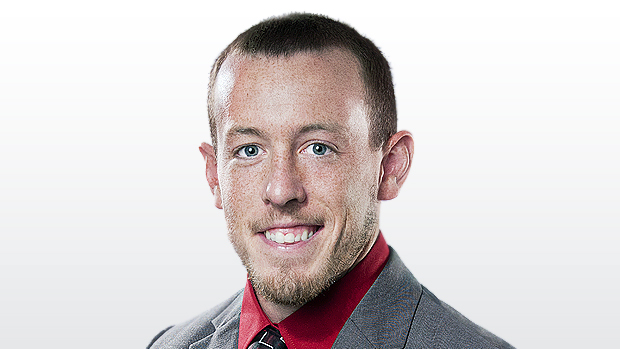 Travis Yost talks about how score effects impact statistical data and the importance of analysts to factor it in. Yes we do [have an analytics person in the organisation]. We have an independent gentleman who we use. Our management side has used him and our coaches have used him as well. A lot of people publicize what they do with hockey analytics, we like to keep it all in-house. We have someone who we think is very capable of giving us really good information in terms of hockey analytics. We don’t always agree with what he’s saying, which is good because it’s a totally different perspective than what we are used to dealing with. I think it opens our eyes and it makes us think about how we do things. I think it’s a tool we use to make ourselves better. I hadn’t heard this before and it’s a relief to know the Sens haven’t completely lost touch with what’s current in the NHL (analytics). 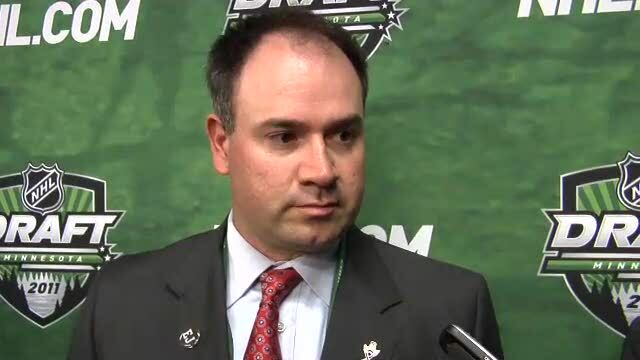 Given some of the players they’ve hung onto, Dorion isn’t a true believer yet, but I think in time he’ll adjust. But the guys who stood out and made an impression on Bryan and the coaches were Max McCormick, Tobias Lindberg, Matt O’Connor, and Travis Ewanyk. Travis is the guy we got in the trade for Eric Gryba, he’s really feisty, he won face-offs, he was in peoples’ faces, he did a really good job. We just tell them that you have to paint a picture of who you are so management gets to know definitively what type of player you are, and those guys did that. Maybe Lee is trying to pump the tires of a player who needs a confidence boost, but if there’s one prospect who has looked consistently bad it’s Ewanyk–he was invisible at the development camp and awful at the rookie camp. There’s a part of me that worries Lee actually liked what he saw, but we won’t really find out until Binghamton’s season starts. 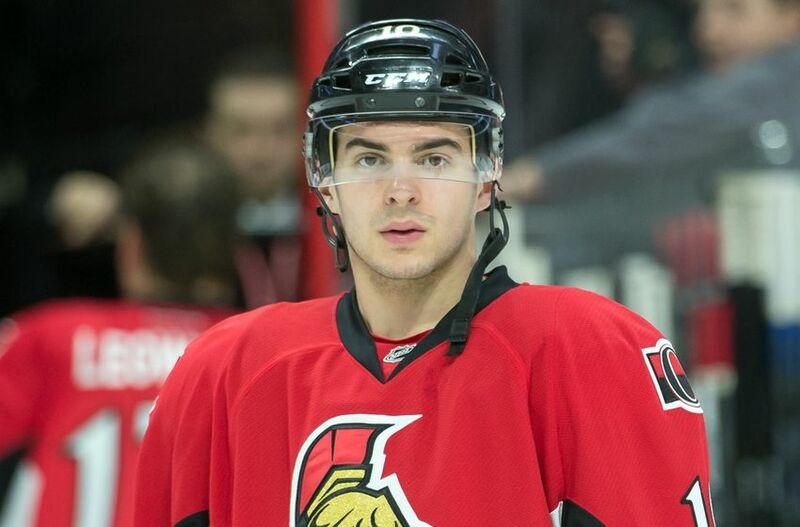 But because Ottawa’s system lacked safely projectable high-end talent that can crack the Senators’ roster in the next year, two or maybe even three years, it creates a situation in which the Senators need continued growth from the young players on the roster. I’ve previously discussed how vague Nichols’ notion of high-end talent is (he thinks Mark Stone needs to develop more to be one–the same guy projected to lead the team in scoring per sixty). There’s no obvious or immediate need at key positions except to round out the depth of talent; at least one of the current prospects will make an impact in the coming seasons. Nichols is a smart guy, but he’s overly reliant on Hockey Prospectus writers for his opinions on prospects–if he opens himself up to other scouting sources we’ll see more nuanced thoughts. Cowen hasn’t felt 100 per cent since the mid-point of the 2013-14 season. Late that year, the 6-5 defenceman tore something in his abdomen, but thought he was dealing with a routine hip flexor. As it turns out, he had damaged the external oblique muscle on his right side, hampering his ability to push with his right leg. Four months ago, he had surgery in Montreal to repair the problem. This is something to keep in mind about his performance over that span, but as Nichols points out, this does mean that there are no excuses for him this season–he either demonstrates the potential that made him a top-ten pick or else he should be moved. The Sens have already cut three players from camp as invitee Marcus Crawford was returned to junior along with Francis Perron and Filip Chlapik (no real surprise for any of them). Dave Cameron has also split the remaining players into two squads with one clearly the intended NHL lineup plus potential callups (Shane Prince, Matt Puempel, Chris Wideman, and Michael Kostka). This is a departure from the historical norm for the Senators, but it makes sense. The defense didn’t show well as a group, with Borowiecki – Harpur faring the worst out of the three pairings. It was so much so that despite the team wanting to give Wiercioch – Ceci first pair minutes, they finished with two minutes less than Borowiecki – Harpur, mainly due to how much the latter got stuck in the defensive zone for an extended period of time. They were on ice for 23 shot attempts against, which is close to how many Ottawa had the entire game. This is nothing new for Borowiecki, but may help dampen the mild but absurd hype for Harpur over the summer. The organisation’s limited love for Guillaume Lepine reminds me of what happened to Geoff Waugh back in the day. For those who understandably have forgotten, Waugh was an ECHL-player (like Lepine) who made an impression as a call-up in the 06-07 season with Binghamton; he was subsequently rewarded with an AHL-contract and proceeded to be awful in the following season (the only full AHL season of his career), eventually moving over to Europe where he’s still playing. The major difference between the two is that there’s no real requirement for Lepine to play (unlike the talent-starved Binghamton team of Waugh‘s day), so he’s unlikely to have the same impact on the team. Evansville announced another signing, inking defenseman Michael Trebish (DOB 1989 ECHL 70-1-8-9), who spent last season with Wichita after two in the CHL. He’s a Ferris State grad who seems to be a safe, stay-at-home player. I’m just going to come out and say it: I don’t see what the Sens see here. Harpur looked big, slow, and took bad penalties. He’s probably the player I have the lowest opinion of following the tournament. I’d like to see a Freddie Claesson call-up well before I see a Ben Harpur call-up. It was not a good showing by Harpur, although for me that was expected so didn’t warrant surprise. We were cheated of seeing Nick Paul in action (injury) or much of Mikael Wikstrand (injured in the first game, as was Buddy Robinson). The training camp roster includes no surprises, although besides Chris Phillips we also won’t see Michael Sdao either (injury). There are more than enough bodies to fill those spaces, although comments from the organisation that guys like Michael Kostka have a chance to make the roster are pretty ridiculous. Speaking of making the team, the blogosphere was all abuzz because Shane Prince is waiver-eligible. This is something I think was brought up before he was re-signed months ago, but with camp approaching the fan-discussion has heated up–you can read thoughts from Nichols and Ross A on the topic, although given that I think Tim Murray (in Buffalo) will definitely take him if he goes on waivers the odds are extremely high Prince will make the team at least to start the season (something Nichols‘ echoed today). Given that, RIP Matt Puempel starting in Ottawa (which I think is just fine for his development). Eldon MacDonald offers thoughts on the Sens off-season moves and then offers his own list of the Sens top-ten prospects. power rankings are usually three things: Bad, wrong, and boring. You typically know just as well as the authors which teams won what games against who and what it all means, so our moving the Red Wings up four spots or whatever really doesn’t tell you anything you didn’t know. Who’s hot, who’s not, who cares? Incidentally, I had no idea how big an impact The 6th Sens had on Twitter until they re-Tweeted my last post–I appreciate the love boys. Ben Blood…was one of the big free agent signings after skating in Norway last season. I suspect this will be the only time we’ll ever hear this in connection with Blood (former Corey Pronman favourite, lest we forget). That’s for being signed in Finland, btw. One of the big surprises (to me anyway) in this “bad” group is New York Rangers captain Ryan McDonagh. 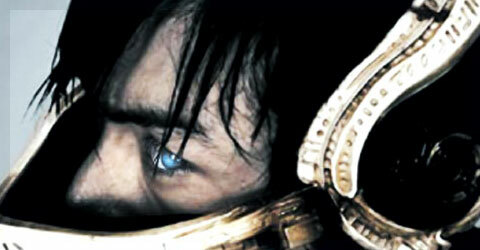 … McDonagh has leaked quality shots against two years in a row. Oh, and Alex Pietrangelo. 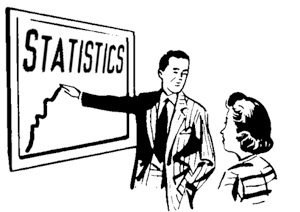 We have talked about his shaky underlying numbers before. Consider this another data point against him. Lastly, it’s impossible not to notice how many “defensive defencemen” – by reputation only – sit in this quadrant. Brooks Orpik, Girardi, Roman Polak, and Dion Phaneuf are just four of many names in this list who are oft-regarded as shutdown defenders. By the number of shots they concede from these dangerous scoring areas, the reputation appears undeserved. 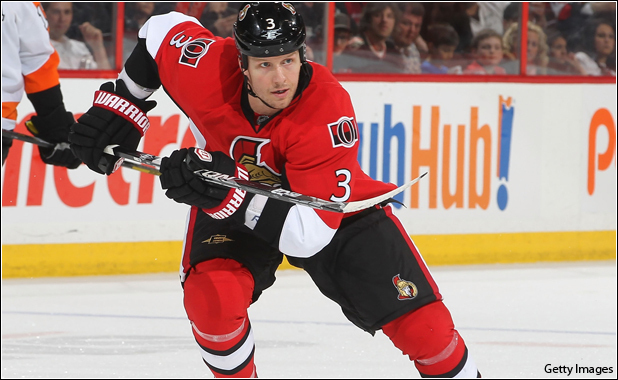 Ottawa’s Marc Methot is one of those guys. No defender has been better at preventing shots near the crease than Methot in the last two seasons (1.4 less than the league average, per 60), and he’s been just as adept at keeping shots out of the also dangerous slot area. Erik Karlsson gets an awful lot of credit for the dominance of Ottawa’s first pairing, but Methot is an instrumental complement. To the extent that Karlsson’s firewagon brand of hockey temporarily fails, Methot’s become the ultimate bailout package – the guy who can settle things down and cover for his partner. I don’t think anyone is surprised that Methot has been effective, but this effective is something else. Whether the 30-year old can remain healthy enough to put this ability on display for a full season is another question. -Lee pumping the tires of Mikael Wikstrand: “He’s a really good puck-moving defenceman that we want to see how he transitions to the North American game. He’s a very cerebral guy. He sees the game well and I think you’re really going to like him, but it is a transition.” Just as a reminder, he was drafted as a safe, defensive player. Martin Havlat won’t be at Sens camp as he’s taking a PTO with Florida instead. Jeff Ulmer wonders if Binghamton will have issues in net due to the relative inexperience of Matt O’Connor and Chris Driedger. This echoes my concerns, although by re-signing Scott Greenham and the added goaltending depth in Evansville, they aren’t completely dependent on the two young prospects. Far too many in each group are working to keep hockey media a white, straight, cis male preserve. There’s no secret meetings or machinations and I’m sure that’s not what Andrew meant–he’s talking about something more nuanced–but I don’t like the language and I don’t think it’s helpful. Certainly TSN, Sportsnet, newspapers, etc–any corporate or business enterprise where people are being paid to cover the sport should have representation–but for unpaid bloggers? People are going to involve their friends, who may or may not be a diverse group (generally not in terms of socioeconomic background, although I don’t think Andrew talked about class in the post), and I don’t have a problem with that. Unfortunately, I don’t see the dinosaurs that cover hockey changing anything in the near future. Hockey coverage has been conservative and generally awful for as long as I can remember and outside the CBC (which has diversity mandates), there seems very little push for that to change. At any rate, the blog is well worth reading in its entirety and I look forward to hearing more from Andrew. The latest news that Chris Phillips is having problems with his recovery (Bryan Murray talking about the second half of the season) is a reason for optimism–the Sens still have problems on the blueline, but less without the Big Rig. Looking at Murray’s draft record, I’m not even convinced that it is THAT good under his direction. Names could still be added (or deleted) from the above depending on performance. Excluding Karlsson (where there’s no debate) the Sens have two or three NHL players above (which is good in and of itself), one of whom could be more than a depth player (Wiercioch). Only the Islanders have three players listed above–are any of them as good or better than Wiercioch? Perhaps. Four other teams appear twice (Columbus, Calgary, the Rangers, and San Jose). In terms of quality, most people would agree that Derek Stepan and Braden Holtby are the best players (with perhaps Gustav Nyquist in the conversation), but it’s not like the Sens were sandbagged by a host of other teams. Even if you want to say, due to quality, the Rangers, Caps, Islanders, and Wings had better drafts than Ottawa after the first-round, that still puts Ottawa ahead of 25 other teams. It’s obviously a small sample size (just one draft), but I include it because I wish there was more substance behind Nichols opinion–I hope he has clear reasons for thinking Murray hasn’t drafted well (or, at least, not “good”). Food for thought on player productivity. This means for an ECHL team there’s a lot of European content (three Swedes, a Czech, a Slovak, and a French-national). 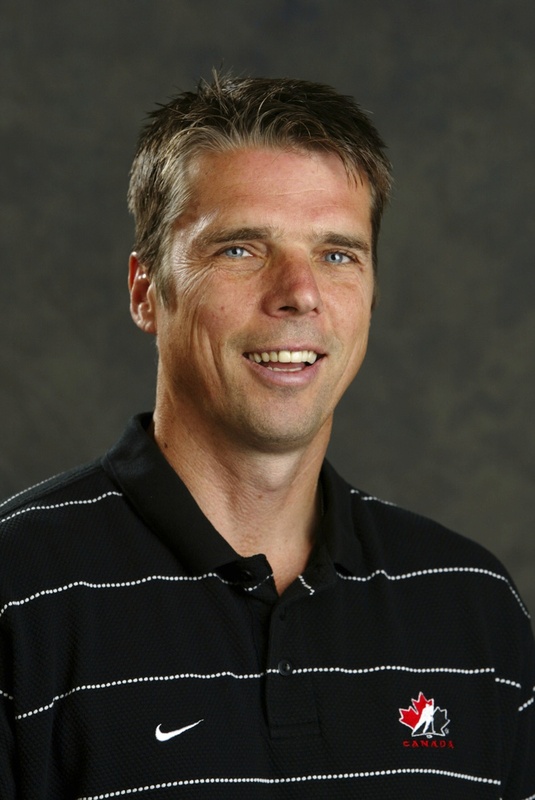 The Swedish presence may have something to do with Swedish assistant coach Johan Lundskog, but I’m just speculating. Incidentally, apparently Adam Stuart is simply a camp invitee (something not noted in the official press release), and clearly some of other announced signings are as well. By my count Evansville now has 23 players on its roster (not including those who will be sent down from Binghamton), so clearly not all of them are on actual contracts. Maybe teams are calling the Senators. Maybe they’re not. As he points out, the Sens have planted interest in the media before in the hopes of generating actual interest. The question is, if that’s the case, what’s the motivation? 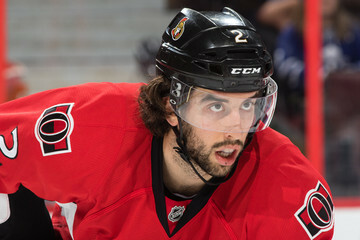 Do the Sens genuinely want to move Cowen, or do they want to motivate him by threatening him with a move? As Nichols points out, maybe there’s more to Cowen than what we’ve seen so far, but this truly is a make or break year for him. Kristopher Bras has written HF’s prospect list for Ottawa, but it makes little sense (the most egregious example is he suggests Thomas Chabot could potentially replace Erik Karlsson). The song remains the same, it seems, for Mikael Wikstrand, who has reiterated his disinterest in playing in the AHL. Given that the Sens have control over where he plays it’s really up to them, although at this point I’m not sure what more he can learn from the SHL. The latest 6th Sens podcast is up and one thing that stood out to me was their belief that the Sens need a strong number three defenseman to stabilize the blueline. It’s not a radical or new thought (although it presupposes that either Cody Ceci and Patrick Wiercioch aren’t ready for that role or will never be ready for it), but deserves emphasis. The second half of the podcast included Corey Pronman who discussed his methodology (a mix of understandably limited personal viewings with added video and then talking to scouts) before talking about Ottawa’s system. He wants Ottawa to have more bluechip prospects (I’ve gone through the problems with this kind of thinking), but proceeded to pick five players who might become more than simply depth prospects. I give credit to Nichols for asking Pronman’s about some of his misses in prior assessments of Ottawa (perhaps he’ll be a bit more guarded the next time he lauds the former’s opinions). Other notes: Pronman doesn’t see Matt O’Connor as top-goaltending material (interestingly, he likes Marcus Hogberg), although it’s worth remembering what Travis Yost noted recently: predicting the development of goaltenders is still poorly understood, albeit the pure percentages mean most prospects between the pipes don’t turn out. Pronman is also a big fan of Filip Chlapik, given how often he brought him up. The whole cast is worth listening to and if you have a couple of pucks you should definitely support the The 6th Sens Patreon. I think Bodog probably best reflects market wisdom is because it’s heavily advertised in Canada and, I’m assuming, is drawing a fairly sophisticated crowd of hockey bettors (I’ve seen some futures elsewhere that are really out of whack — Calgary and LA both at +1700, for example). Bodog has Ottawa 17th, which Gordon agrees with. He likes LA beating Tampa Bay in the finals. Whether you agree with him or not, I’m glad he’s looking to justify his predictions quantifiably rather than simply looking at last year’s standings or going from his “gut”. Simple understanding of what is and isn’t repeatable talent can go a long way in forecasting future success/failure, and it’s one of the big reasons why so much attention is paid to stats like Corsi%. Controlling possession at even-strength correlates well with winning long-term and, most importantly, is a repeatable skill. Scoring on a high percentage of shots also correlates well with winning, but it’s prone to major fluctuations and exhibits very little repeatability over long samples. It’s well worth reading the whole piece. Ottawa was scouting [Christoffer] Bengtsberg, and the Sens are really high on him. 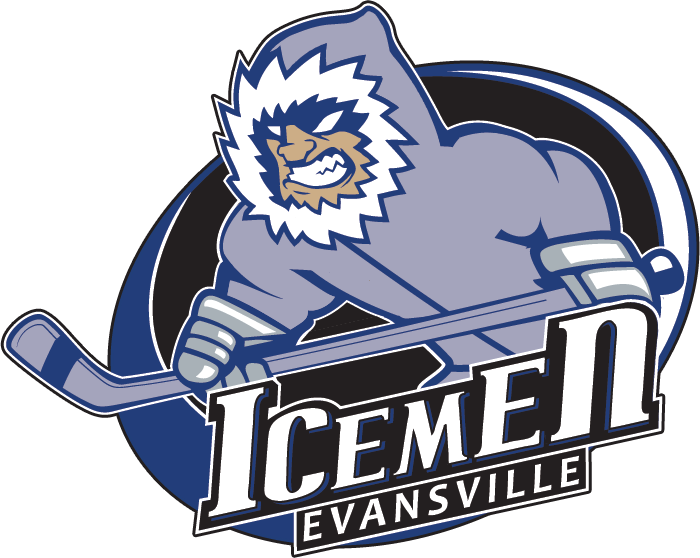 [Riggs and Sims are] still expecting [Scott] Greenham and [Nick] Tuzzolino to end up in Evansville, Troy Rutkowski is a distinct possibility too, and Daultan Leveille could be in the IceMen mix as well. The roster speculation seems on-point and I’m not surprised that the Sens had a hand in getting Bengtsberg to Evansville, as he adds a bit more injury depth should the dominos start to fall (negating the need to sign someone mid-season like the moribund Peter Mannino).